A personalized anniversary gift that can be cherished for all the years. I EDIT, YOU PRINT! Need a different size? Please message me! I'm very happy with my purchase! Seller was great to work with! Thank you so much! 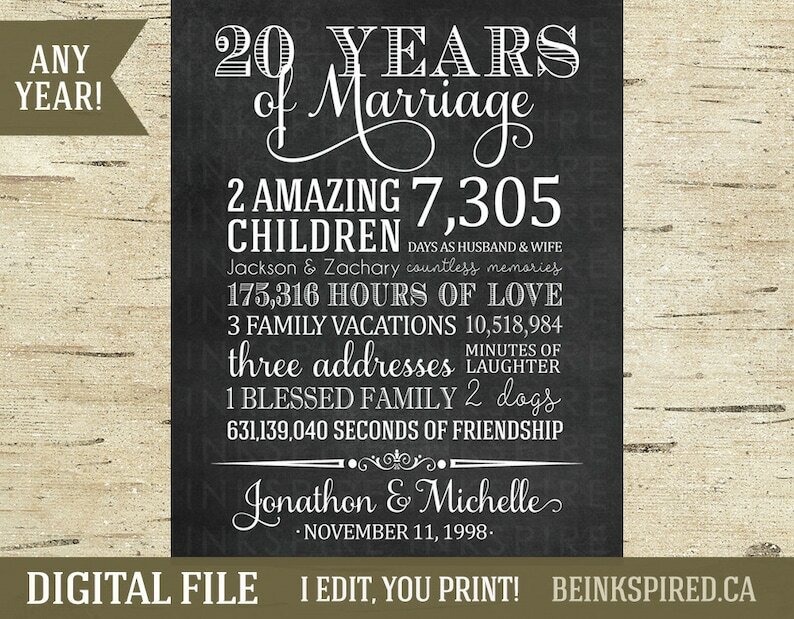 Important Dates Sign - Printable DIGITAL FILE - Personalized Gift with Family Birthdays and Anniversary - Customize the Colors!